Hi, Ladaza, I've ordered a lot of things from your store. So far, all of our transactions are okay and smooth, until LEX Ph became your logistics partner. Not only that you charge amount for their delivery service but this Lex PH is poor at handling your customers. To remind you, online stores exist for the purpose of eliminating hassles for shoppers and atleast ease their burdens, but here you are, with your new logistics partner, aggravating our problems as consumers. I've been waiting for my order for 2 weeks past the estimated date of delivery. I have also reported this matter to your customer service twice, but to no avail. I never failed on tracking my order, but was amazed that for 5 days, there has been no progress at all. Hopefully, you'll consider removing LEX PH or atleast remind them of their job. This may affect your entire business, if more and more customers will experience this poor delivery service of LEX PH. Review #1442629 is a subjective opinion of HonorableGrizzlyBear328. 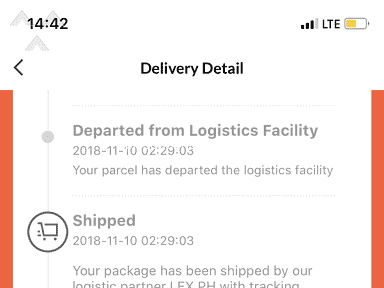 nangyari sakin,item failed to deliver samantalang lex ph taytay hub napakalapit samin. hindi man lang ako tinext or tinawagan. anung klaseng service to? Can you also check my order it has been 3 weeks since i placed my order and up until now there's no changes and still "in transit". Please do respond and put an action on it ASAP. Here is my order number 222510742547704 Thank you. 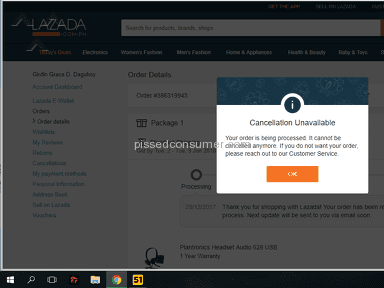 Hello Lazada, thanks for responding in this post. Here's my order number #216621002761177. Up until now, there is still no progress about the delivery status. The status is still "in transit." Hope you could fix it as soon as possible. Thanks, Lazada. 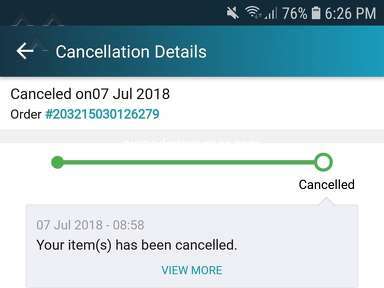 Hi good morning, what will happen if i paid the items already then hnde nreceive ung item? they are of no help. they cannot deliver without calling you. they've been in the business for long, and yet they do not know the delivery addresses unless the addressee guides them.